In keeping with his commitment to providing comprehensive and quality general, cosmetic and restorative dentistry treatments, Dr. Keith Kelley features the most advanced tools and technology at his Troy, MI, practice. Laser periodontal therapy, dental crowns crafted in-office by the CEREC® machine, 3-D imaging, digital x-rays, and non-invasive decay treatment make up Dr. Kelley's suite of dental technology for precise diagnosis and treatment of a variety of oral health concerns. Dr. Kelley in Troy Michigan provides laser gum therapy at his practice with the advanced WaterLase® system, which uses laser energy and water spray to replace the function of scalpels and dental drills. The WaterLase laser can treat dental decay and address periodontal disease with precision and accuracy while reducing pain and bleeding. The WaterLase laser can treat dental decay and address periodontal disease with precision and accuracy while reducing pain and bleeding. Dr. Kelley can also excise lesions from the tongue and lips using this advanced laser therapy. Patients who need a dental crown no longer have to wait for two weeks before having their custom restoration attached. 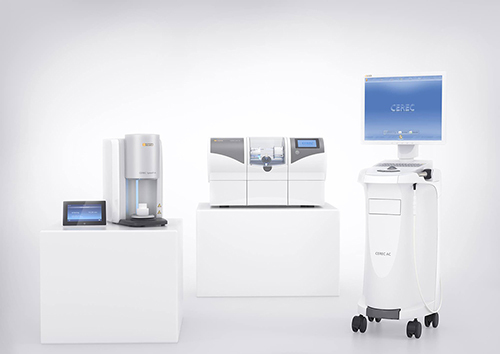 Dr. Kelley has invested in a CEREC machine, which uses CAD/CAM (computer-aided design and computer-aided manufacturing) technology for the in-house digital manufacture of dental restorations. CEREC, which stands for chairside economical restoration of esthetic ceramics, lets us fabricate high-quality dental crowns while you wait. The CEREC technology allows us to offer single-visit dental crowns without the need of a temporary crown. We take digital images of your teeth and gums, and that information is fed to a computer that designs a dental crown to fit your tooth precisely. The design information is then relayed electronically to a milling machine that creates the crown while you wait. Dr. Kelley carefully attaches the crown and makes any necessary adjustments. You leave our office with your permanent crown in place, completing your smile. Dr. Kelley offers minimally-invasive solutions to dental decay. He is proud to offer the Air Abrasion tool to treat small cavities without needing to use anesthetic. This technology uses a stream of fine particles to remove decay and has minimal impact on healthy tooth structure. In keeping with his commitment to patient safety, Dr. Kelley offers 3-D imaging and digital x-rays for accurate diagnosis and precise treatment planning. Apart from taking less time and the process being more comfortable than traditional x-rays, digital x-rays also significantly reduce radiation exposure. Digital x-rays and 3-D imaging offer incredibly detailed dental views. 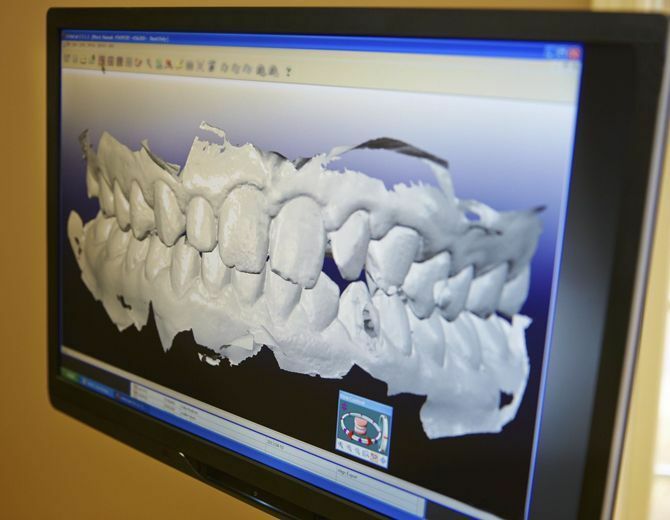 With digital 3-D scans, our staff can gain a deeper understanding of a patient's dental anatomy, as it takes images from different angles, and provides a clearer picture of bone structures. Dr. Kelley offers customized oral appliance therapy for obstructive sleep apnea patients who cannot use or tolerate the traditional CPAP machine. We understand that some patients may experience anxiety or phobia before a dental treatment. To make the treatment process comfortable and to keep patients relaxed, Dr. Kelley offers oral sedation that can be taken in pill form prior to treatment. Our investment in technology helps make your care more comfortable, efficient, and precise. Call us at (248) 828 3185 or contact us online to schedule a consultation with Dr. Kelley and experience the benefits of exceptional dental care.